The USPS has finally been releasing some pretty stamps lately. Now, if only they would make another option for postcard stamps than the polar bear ones! 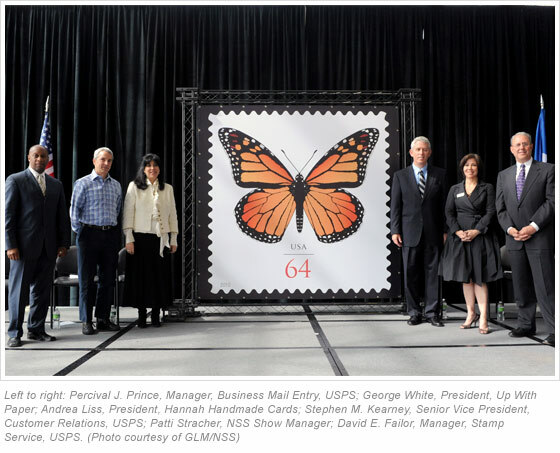 The new 64-cent Butterfly stamp was dedicated May 17th, in conjunction with the Greeting Card Association, at the National Stationery Show. The new stamp is designed to be used on cards that have an irregular shape that require additional postage. The first stamp design in the new series features one of the most recognizable butterflies in North America, the monarch. For more information about the new butterfly series, first issue collections click the source link below.